Gone are the days of painfully waiting for tech accessories for Android devices. 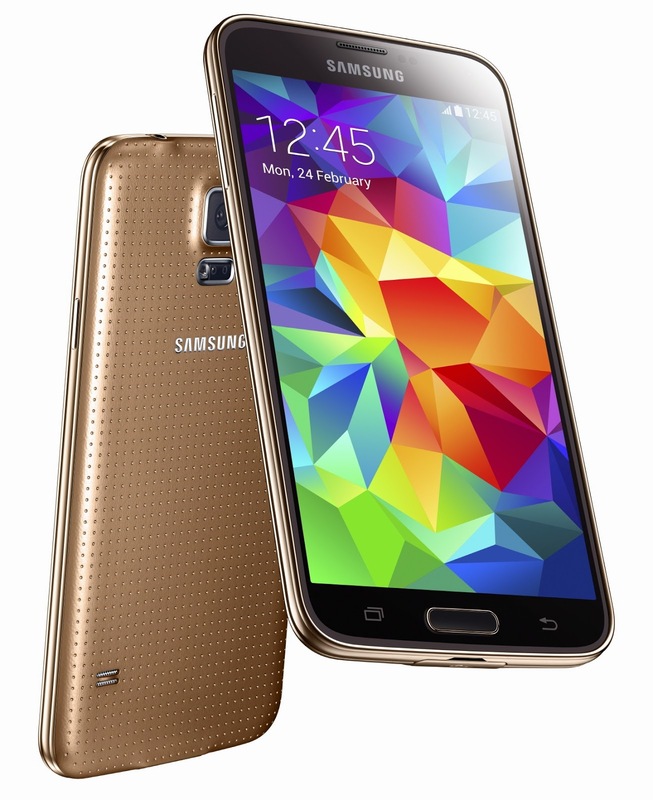 As we welcomed the long awaited Samsung Galaxy S5, brands are quick to provide must-have accessories to pair with the device. One of our favorite tech accessories companies is TYLT, whose VÜ Wireless Charger, we recently covered and continue to swoon over, is one such tech accessory brand. 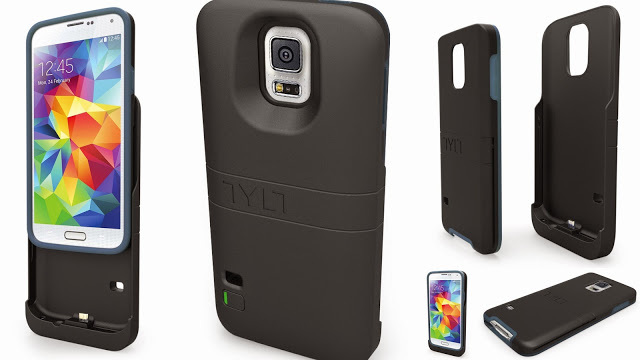 To coincide with the launch of the Samsung Galaxy S5, TYLT announced its new ENERGI Sliding Power Case and ALIN Screen Protector for the GS5. Equipped with a removable 2,800mAh battery that doubles the GS5’s battery life, TYLT’s new ENERGI Sliding Power Case also features a protective TPE-lined inner case for enhanced drop protection. 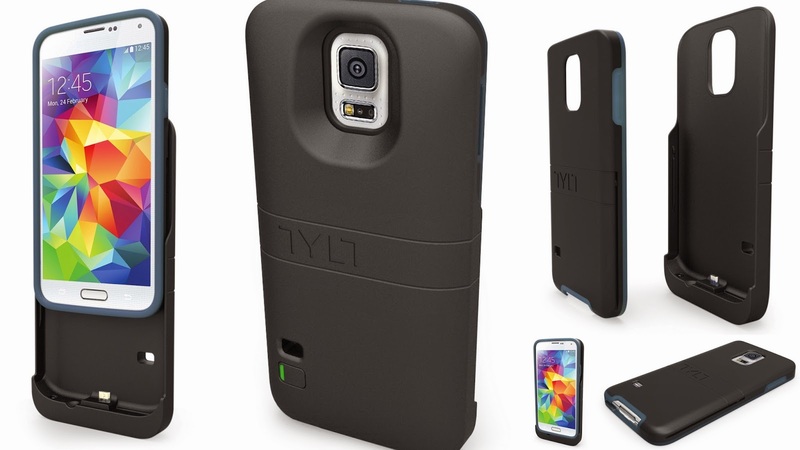 While TYLT’s Energi Sliding Power Case for the iPhone 5 and Galaxy S4 come with slim-line inner cases, the GS5 version has been redesigned to double as a standalone protective case. The ENERGI Sliding Power Case also features a cutout for easy access to the Galaxy S5’s heart rate sensor and an LED light that indicates remaining battery capacity. 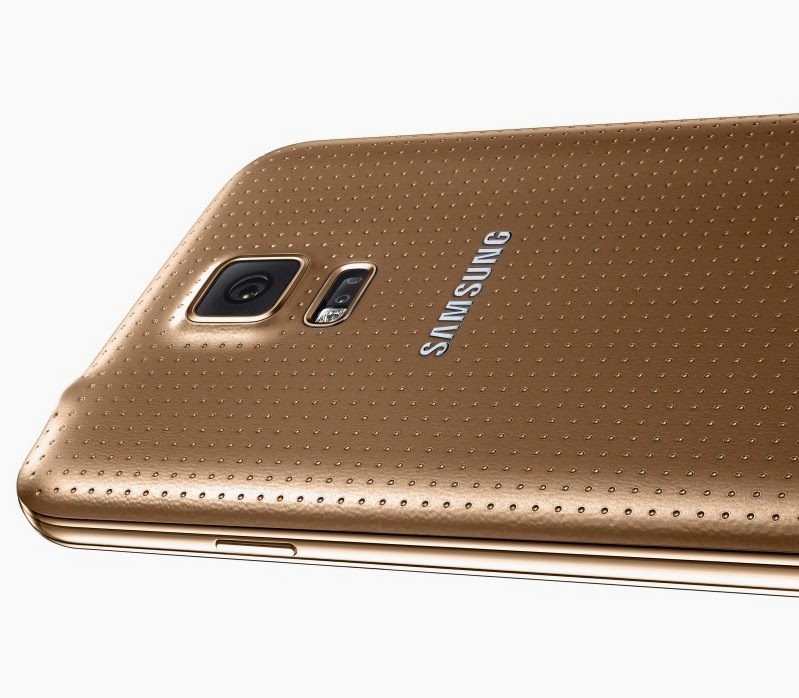 The ENERGI Sliding Power Case is also made to be compatible with the Samsung Galaxy S5’s new port cover, located on the bottom of the phone for protection from water and dust. The inner protective case comes in blue or gray, with pink and purple protective cases available separately. Nothing makes a phone look older than it is than a smudged and cracked screen. As a GS5 user, you can further protect your new phone with TYLT’s award-winning ALIN screen protector. The first screen protector to come with a plastic snap-on alignment tool for installation, ALIN ensures a perfect, bubble-free application in seconds. Featuring HD clarity for ideal screen visibility, the four provided screen protectors each include two removable tabs to avoid fingerprints during the dry application process. Simply clean the Galaxy S5, snap it into the alignment tool, use the plastic guide edge to correctly position the screen protector, apply, and enjoy months of protection. Both the TYLT ALIN Screen Protector and the ENERGI Sliding Power Case will be available in just a few weeks. With the introduction of the Galaxy S 5 and the continued evolution of #TheNextBigThing, Samsung has also refined its wearables line with three new Gear options that will change the way you communicate and connect. 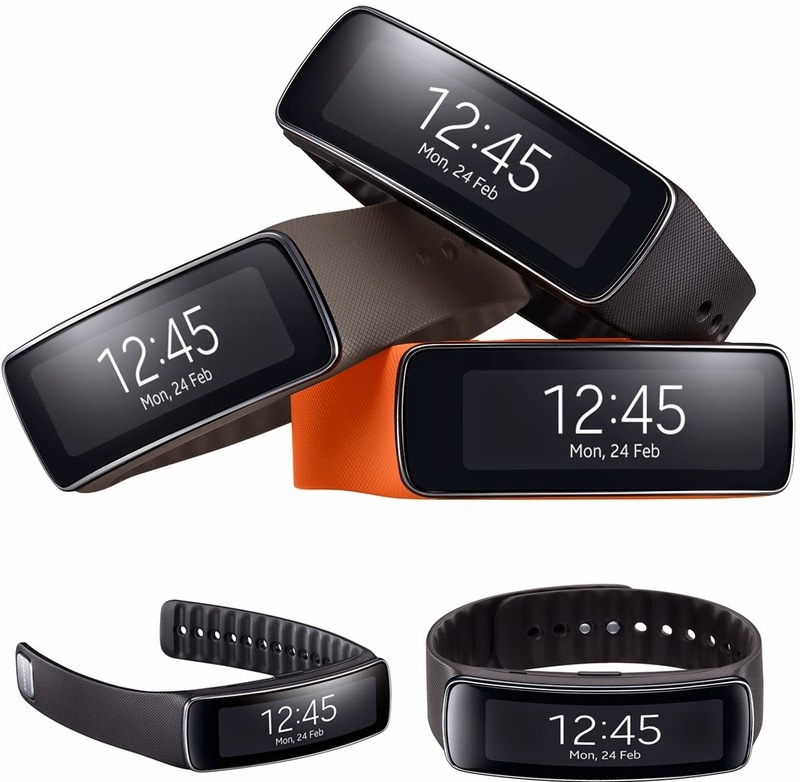 Building on the amazing response to the Galaxy Gear, Samsung Mobile’s first wearable tech device, the newest wearables, the Gear Fit, Gear 2, and Gear 2 Neo, bring new and refined features based on public feedback of their first foray into wearable tech. The new Samsung Gears make keeping in touch more personalized than before. The second generation of these wearable tech devices not only offers more refined looks but a customizable experience as well. The Samsung Gear Fit was designed with your health and wellness in mind. Featuring a 1.84 inch curved Super AMOLED display, an interchangeable band, an athletic design, made to comfortably fit your wrists, and maintain functionality whether active or asleep, the Gear Fit allows you to stay connected while maintaining your active lifestyle. It tracks your steps and monitors your heart rate on the go, but it’s so much more than an everyday fitness band. Stay up to date with instant notifications from Galaxy smartphones such as incoming calls, emails, text messages, 3rd party apps, etc, while you’re on the go. If you’re like us, you enjoy utilizing the built-in S Health app to measure how many steps you take daily, how many calories burned, etc. With the Gear Fit, you can enjoy an extended S Health experience as it can serve as a personal trainer, function as a pedometer, HRM and calories burned tracker. The Galaxy Gear Fit comes with a Black band with additional Wild Orange and Mocha Gray band color options. The design of the Gear devices has been updated to show a more polish and streamlined appearance. Both the Samsung Gear 2 and Samsung Gear 2 Neo boast interchangeable straps and are compatible with standard 22mm pin watch bands to personalize your look. 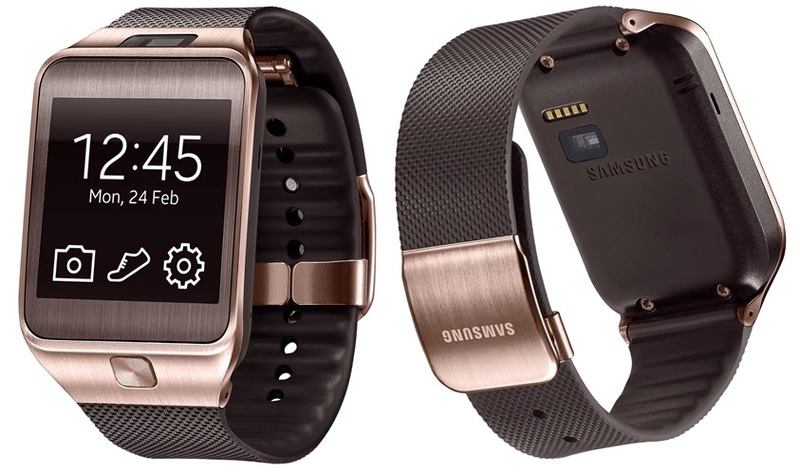 The Gear 2 is the premium wearable with a 2 megapixel camera (moved from the strap to the face for a more sleek design), thereby complementing its brushed metal finish. The Gear 2 Neo on the other hand, has a polycarbonate finish. 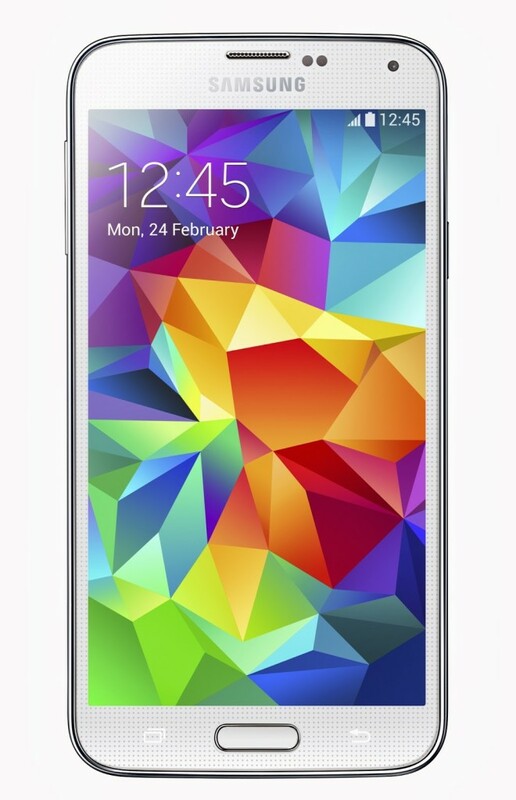 The home key on the Gear 2 and Gear 2 Neo is positioned on the front of the face for convenient access. Both Gear devices have 1.63 inch Super AMOLED displays and allow you to access and customize your wearable experience. Receive and respond to a calls, texts, emails, and app notifications quickly, right from your wrist. New shortcuts and additional app support make the device experience easier to navigate and take action. Though your music may not be at your fingertips, they will be at your wrist with the music app on Gear 2 and Gear 2 Neo. Transfer, store and shuffle through your favorite songs, even when away from your phone, plus you can pair the Gear 2 and Gear 2 Neo with Bluetooth headphones to enjoy your playlist while on the go. The Gear 2 comes in the following color combinations: Titan Silver face with Black strap, Titan Silver face with a Wild Orange strap, and a Gold Brown face with Brown strap. The Gear 2 Neo comes in Black, Wild Orange, and Mocha Gray. 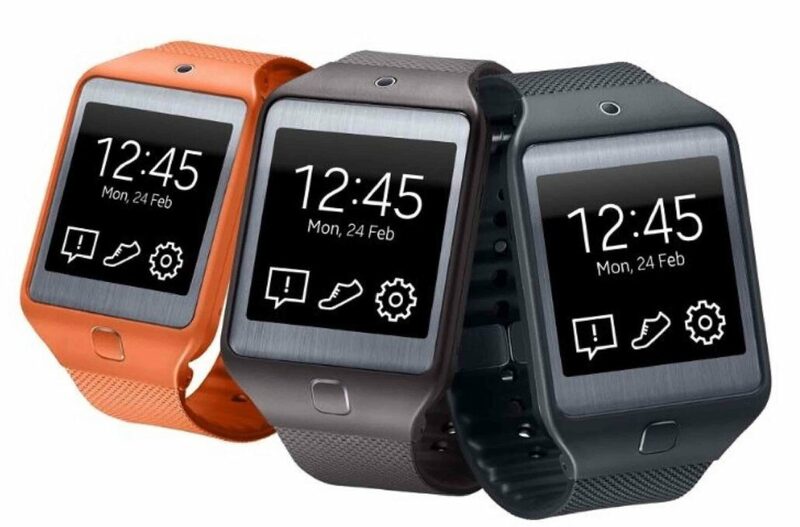 The Gear 2, Gear 2 Neo and Gear Fit will be available in the U.S. this month across various channels. 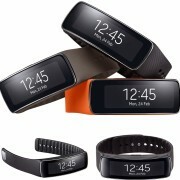 Gear 2, Gear Neo 2 and Gear Fit will be available through carrier and retail channels, including the Samsung Experience Shops in Best Buy. 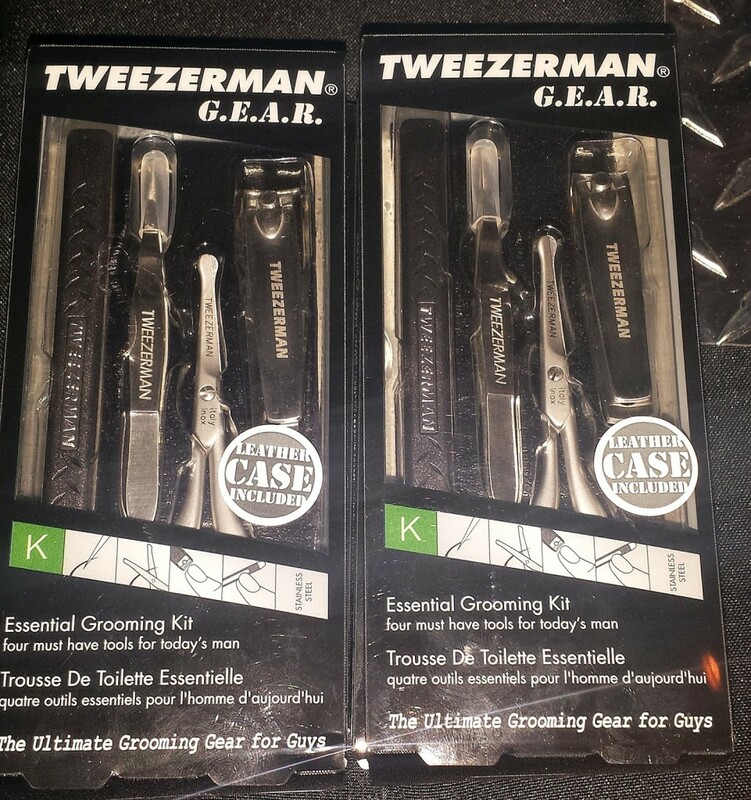 There really is nothing sexier than a sharp styled man, and thanks to Tweezerman guys now have quality, cutting edge grooming tools that are durable, masculine and affordable. 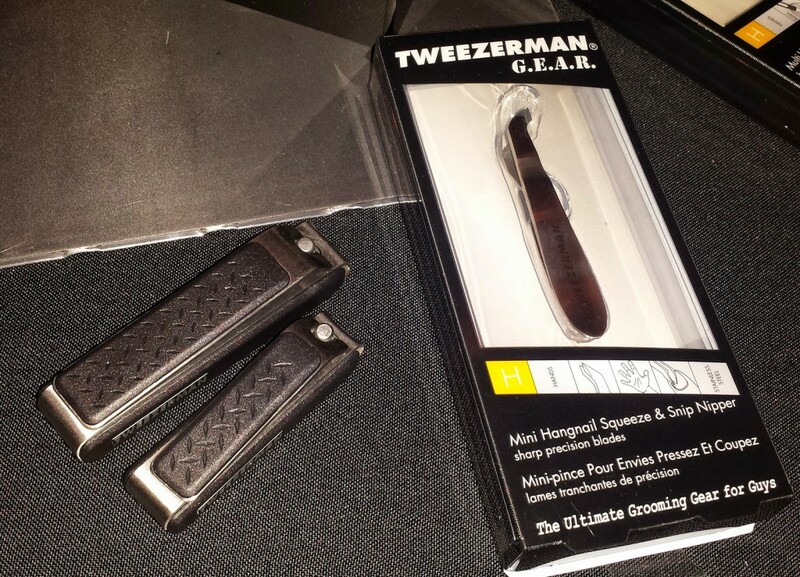 Tweezerman recently held an event to celebrate the launch of Tweezerman G.E.A.R. 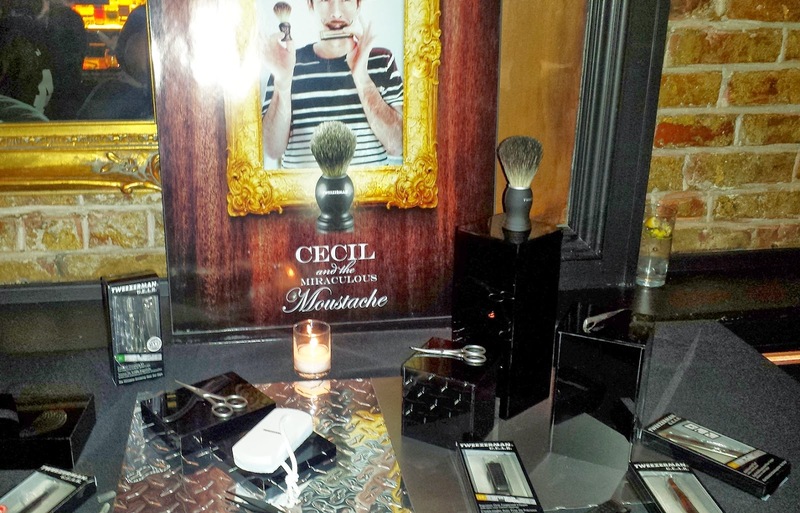 Collection for Men, which features 11 unique, high-performance tools, that are specifically designed for guys looking to tweeze, clip, cut, file or sculpt their beards, moustaches, and eyebrows. Toe Nail Clipper Price: $14.00 are sold separately. The Tweezerman G.E.A.R. 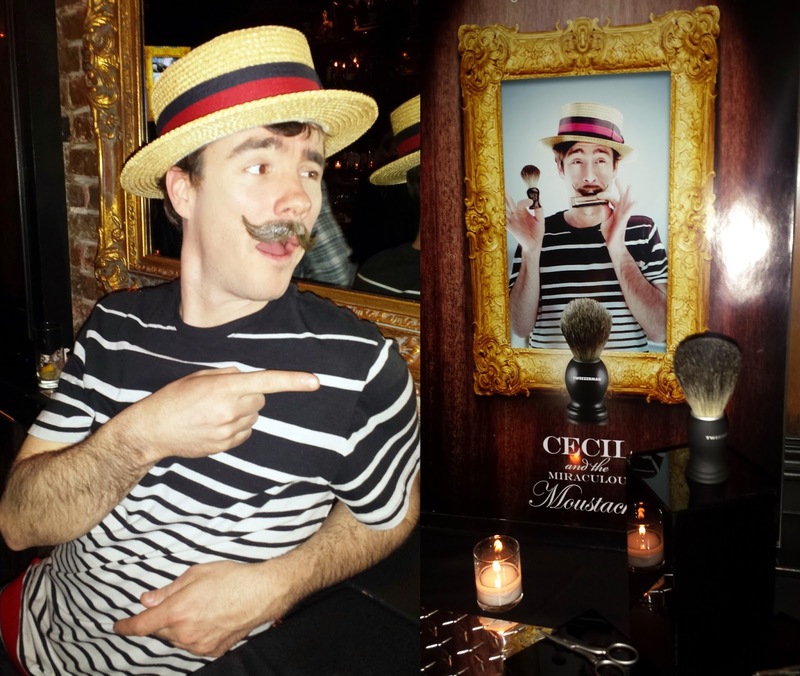 Collection for Men will be available beginning April at Amazon.com and Target.com. There’s nothing like getting your hair looking fabulous, whether it be for the red carpet or so as a pampering treat to yourself. 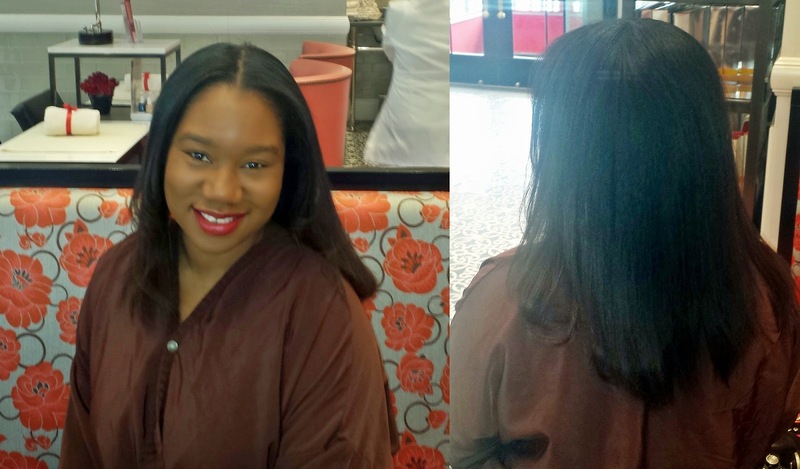 Sometimes finding the time to enjoy a little hair pampering can be tough but thanks to the new Red Door Spa’s express beauty Red Carpet Blow Dry, you can achieve great hair during lunch. 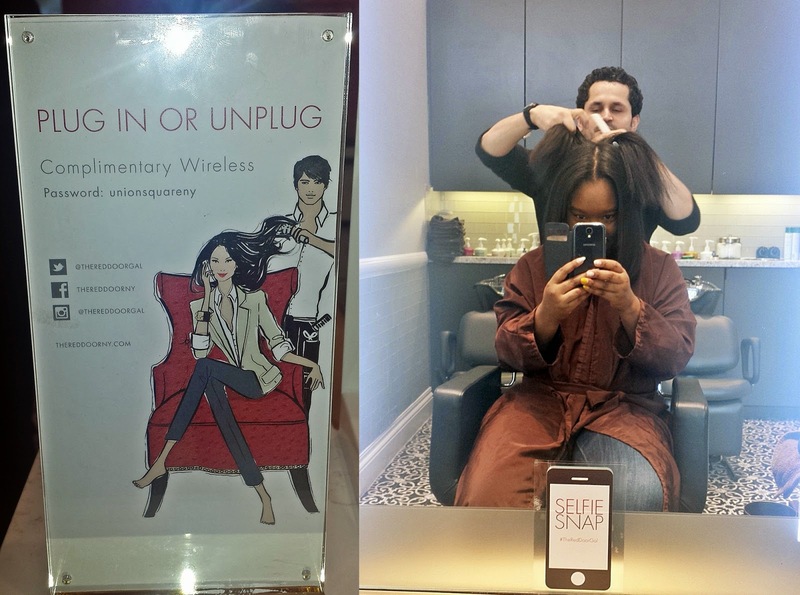 You may remember we wrote about saving $10 off a Red Door Spa Blowout when you take and share a selfie, well we finally got the chance to enjoy this wonderful service for ourselves at the Flat Iron Blow Dry Bar. This post is our experience of the blowout we received, which that instantly repairs and smooths the hair for a silky, shiny finish. The Red Carpet Blow Dry combines deep conditioning using a unique formaldehyde-free keratin protein infusion that strengthens and nourishes lackluster tresses (something I needed after the long winter), along with a revitalizing blow dry to maintain professional results for up to 3 shampoos. Created for all hair colors and lengths, this treatment is the pick-me-up your hair needs. 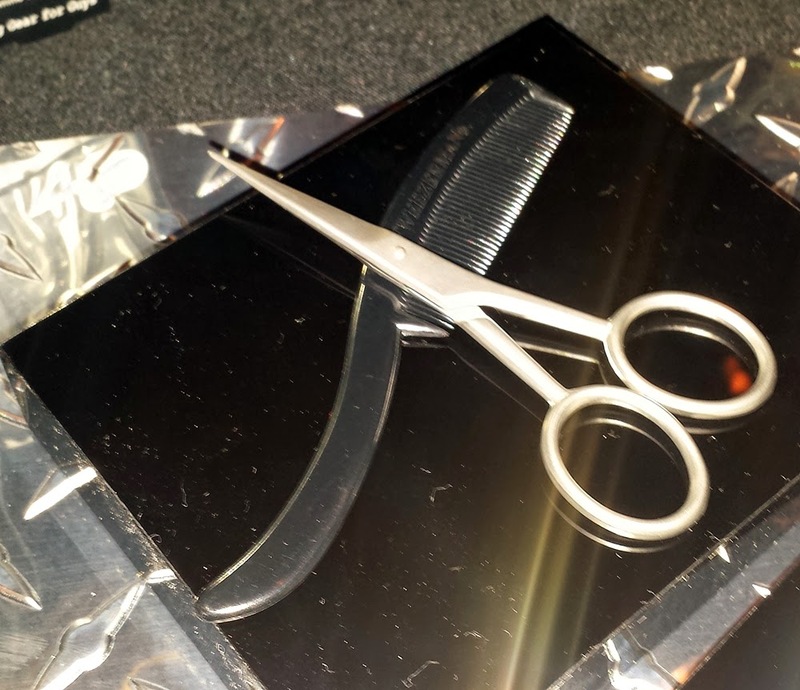 The best part is, this 15 minute treatment can be added to enhance your hair service. 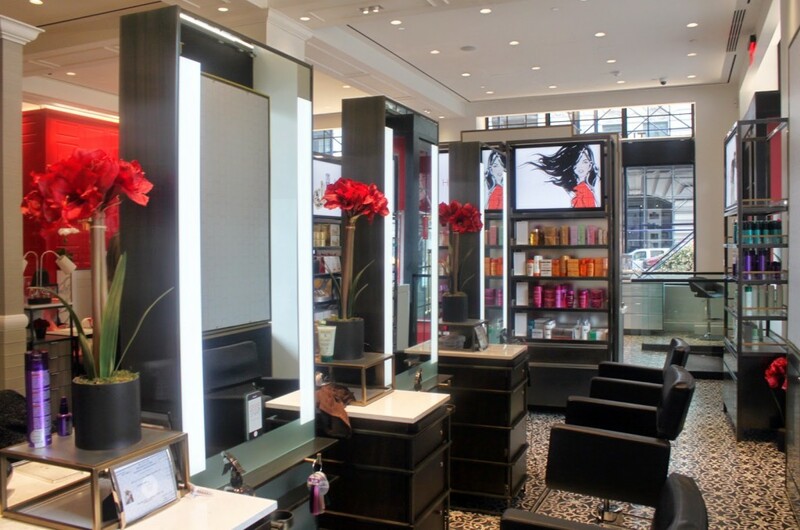 It’s officially spring so you know what that means……it’s time to pamper yourself without stripping your wallet. that’s right, the $50 Spa Week Treatment deal is almost here. 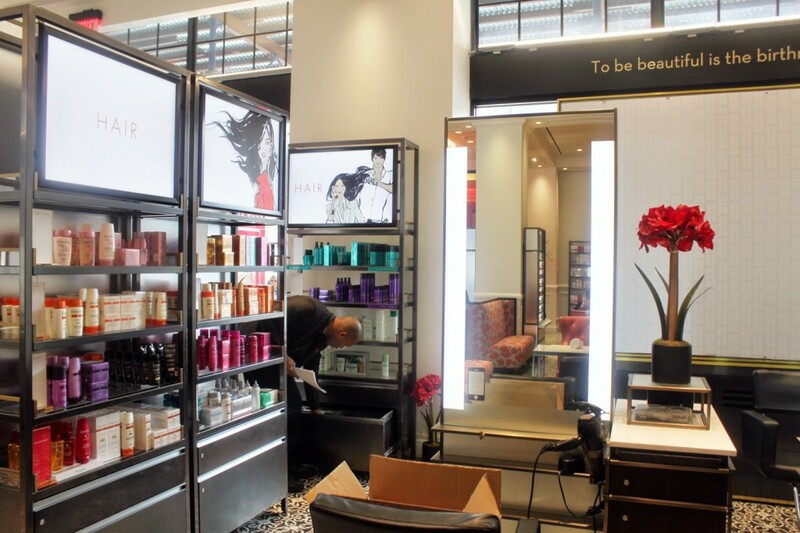 One of our favorite beauty treatment escapes, Elizabeth Arden Red Door Spas, is all ready to get you pampered. During National Spa Week, April 21st – 27th, every Red Door Spa location across the country will be offering three of their most luxurious treatments for just $50.00 each. See below for more information on each service offered. There’s even a bonus offer (click on image to view larger). Feeling stressed? Enjoy the 50-minute Stress Melter Body Treatment, which includes body exfoliation, aroma therapeutic body wrap, and a scalp massage. Does it seem like your skin has turned against you? Then you definitely need Elizabeth arden’s 50-minute Spa Week Facial, a renewing facial that will cleanse, exfoliate, and hydrate your skin. If your skin needs extra attention, just add a Microdermabrasion Blast or Oxygen Blast for an additional $50.00. Now if it’s your tired, weary feet that need some love, indulge in a 50-minute Spa week Pedicure heaven with luxe sugar exfoliation and warm cream, reflexology-inspired massage. As a bonus, Red Door Spas is offering a chance to give your hair come new life during Spa Week, with your choice of a haircut, blowout and finish, or single-process color for $50.00. It looks like you ladies have some decisions to make. whatever service you choose, enjoy them. For more information, contact any Red Door Spa location. With tantalizing chai spices and smooth caramel flavor, the curiously exotic Wild Chaild gives you the sweet you need with just the right amount of spice to make whatever you’re doing more interesting. We love the subtle taste of ginger, nutmeg, cloves, black pepper, and star anise that add to the exotic flavor mix of this bold chai. With smooth vanilla and decadent maple flavor infused with traditional chai spices, Sweet Chai of Mine is the perfect way to enjoy some “me” time. Ginger, natural peach flavor, and licorice root are just a few of the ingredients which adds to the smooth and delicious flavor of this tea. 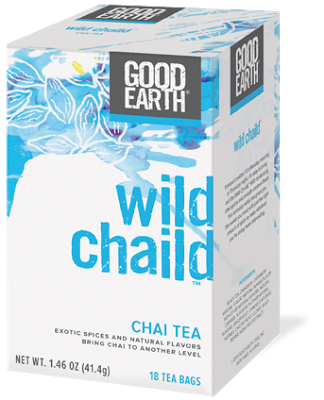 Ready for an amazingly exotic chai that’s organic? Featuring organic spices that are masterfully blended with a surprise touch of cherry flavor to create a decadent tea experience, Organic Starry Chai will blow your mind. With its mix of organic raspberries and natural cherry flavor mingling with the likes of organic cinnamon, organic nutmeg, organic ginger root, organic licorice root, and organic black pepper, you are sure to enjoy ethereal moments of elation with every sip. 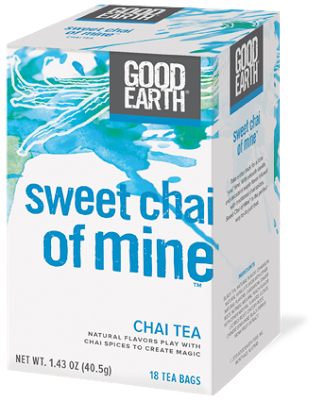 All three Good Earth Chai flavors are available on their website. 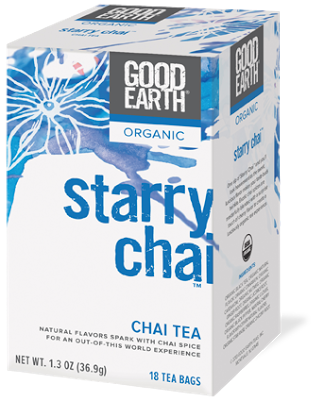 A box of Wild Chaild and Sweet Chai of Mine retails for $4.49 each, while Organic Starry Chai is $4.79 each. Each box contains 18 tea bags. What better way to toast the beginning of spring than with a delicious and refreshing, spring-inspired cocktail. 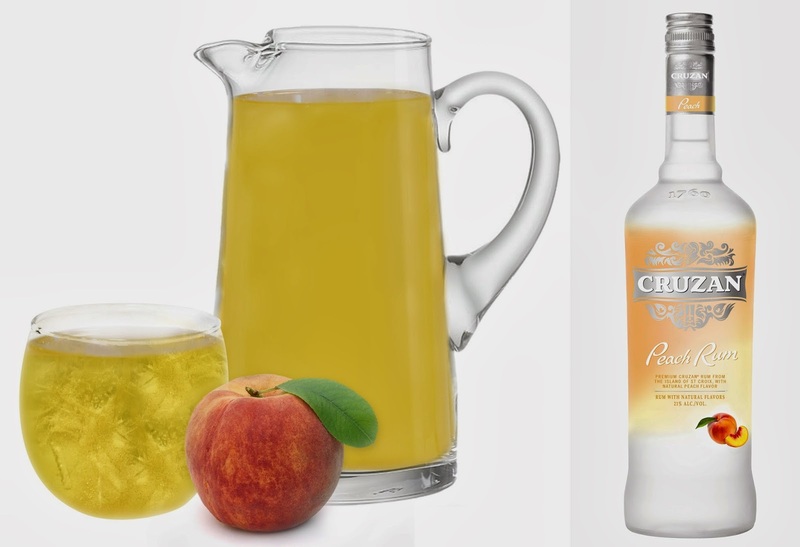 get ready to enjoy a sip or six of the Cruzan Rum Paradise Punch, made with the newly launched Cruzan® Peach Rum. This sweet and fresh rum blends fine Cruzan® Rum with the sweet taste of juicy, ripe peaches that will arouse thoughts and memories of carefree summer days and succulent summer peaches. Cruzan® Peach Rum is a fresh, succulent flavor to the enticing Cruzan® Rum lineup. Like all Cruzan® rums, Cruzan® Peach is crafted by Cruzan® Master Distiller Gary Nelthropp, whose family has been making rum on the island of St. Croix for generations. Cruzan® Peach is made from tropical rain water and high-quality molasses, it is distilled with a unique five-column distillation process to create the cleanest-tasting rum on the market. 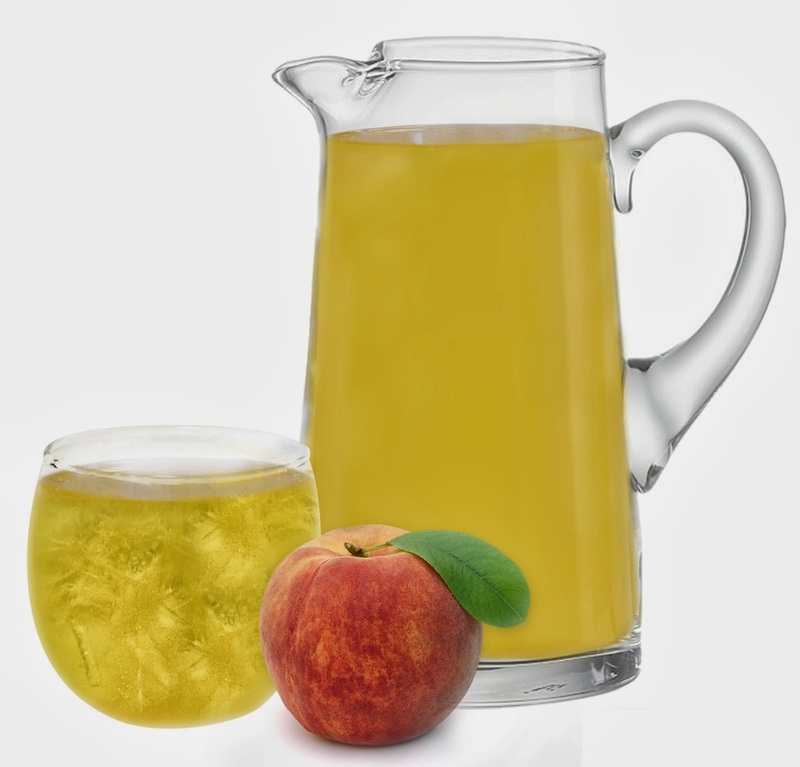 Cruzan® Peach is available now, the 750ml bottle retails for $14.99. It joins Cruzan® Aged Light Rum, Cruzan® Aged Dark Rum, Cruzan® Black Strap Rum, Cruzan® Estate Diamond® Light Rum, Cruzan® Estate Diamond® Dark Rum, Cruzan® Single Barrel Rum, Cruzan® 151 Proof Rum, Cruzan® 9 Spiced Rum and 13 other flavored rums infused with natural flavors, such as vanilla, coconut, key lime, passion fruit, mango and strawberry.